This year I launched GOOD KOMBUCHA DRINKS LTD. Why GOOD? Well a lot of thought went into the name, and as is often the case, it settled to something very simple... GOOD. I think it encapsulates exactly what I want to bring to the drinks and to the values of the brand. I have been a huge fan of kombucha for many years and my mission now is to share this love of such an enjoyable drink by making our own exciting and healthy kombucha that tastes GOOD. As the business grows we want to do GOOD too. With more recent research going into the connection of gut health and a healthy mind we want to support initiatives within the mental health sector, something important and close to my heart. So what do you do when you are one guy on a mission to shake up the healthy drinks market with your own little idea. It’s a really GOOD question? Over the coming few posts I will share some of the things that are happening as GOOD KOMBUCHA Drinks makes it’s way into the world. During last year the whole idea bubbled away in my mind and was jotted over several bits of scrap paper. Until recently I was only really a consumer of this glorious drink, so once I started researching into how kombucha was produced I began to see how fascinating the process was. My curiosity was stirred. I googled fermenting courses and found one specifically on kombucha at The Fermentarium, and so I enrolled. As the months led up to the course and I continued to expand on my ideas, I also began experimenting brewing my own kombucha... Several unsuccessful batches later, I wasn’t yet disheartened. I was determined to understand what I was doing wrong and become better acquainted to this living brew! The course was extremely enlightening and enjoyable. And it gave me the key to start brewing kombucha with much more insight into what creates a healthy, balanced and enjoyable fermented brew. The course was lead by a fantastic and knowledgable woman, named Anna Drozdova who runs her own Mazaika Workshops, she has a vast experience with the fermenting world and I thought I’d share my idea on launching my own kombucha business to her. It’s always a scary thing putting yourself out there and not my greatest skill, yet it was really encouraging to have her say that she felt it was a GOOD idea and was different to what she knew as out there. Since the course, excitingly Anna is lending us her own expertise and passion as we brew, grow and work hard to get the GOOD word out. Our first drink is GOOD KOFFEE. The Original COFFEE KOMBUCHA is coffee re-invented; a rich & complex fermented brew. Raw. Alive. Kicking. We have just launched our Virgin VOOM campaign. We only have four weeks until MAY 15th to create awareness and a buzz for GOOD KOFFEE Kombucha. This is an amazing opportunity to get our name out there. You can help by VOTING for us to pitch to Richard Branson. 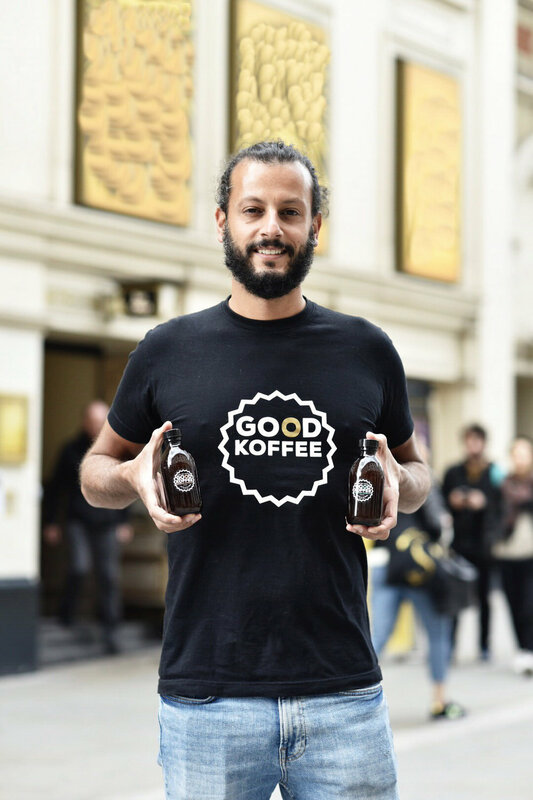 You can even also PLEDGE to order your own GOOD KOFFEE through the crowdfunder campaign. I look forward sharing what GOOD things are next.